Please check your email for the download link to get the report. Since you’ve confirmed you should find my email in the same place that the confirmation email went to – this means if it was in one of the “other” tabs in your inbox you can move it to your main inbox (and “whitelist” my email which you’ll see as Joshua Parker) in order to be sure you get my download links and other information. *Plasma Tube shown in image not included. Can be purchased from a 3rd party supplier we’ll share with you. 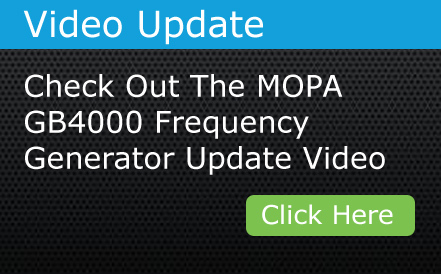 Here’s a video showing how I use the MOPA Oscillator/Amplifier along with the GB4000 Frequency Generator. I also explain why I feel strongly that this is the most important device out there. Let me know if this opens up any new questions for you. 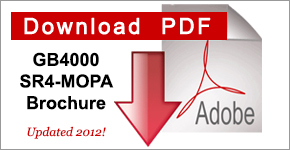 Why should you purchase the GB-4000 and M.O.P.A? When the GB-4000 is combined with the M.O.P.A. the ability to run from one to eight frequencies up to 40,000 hertz through a gas tube is possible. No other instrument has this capability. The M.O.P.A. is the only gas tube instrument with the ability to use a variable RF frequency from about 2.2 to 3.8 MHz as a carrier frequency or as a stand-alone frequency. We use the superior high voltage low current design over the low voltage high current design. We can usually ship within 24 to 48 hours after receiving your purchase agreement. 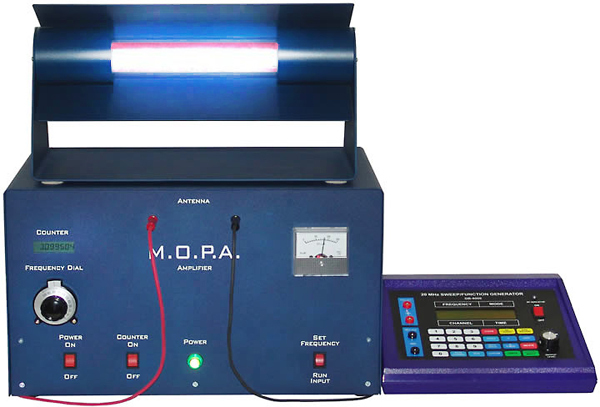 Both the GB-4000 and M.O.P.A. come with a one year parts and labor warranty. 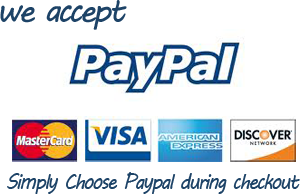 We not only give superior support but give technical support by phone for as long as you own your instrument. Produces digitally accurate frequencies converted to analog for full analog harmonics. Incorporates a groundbreaking new 3.1 MHz RF (Radio Frequency) carrier wave technology to give massive versatility in sideband frequencies when using squarewave audio frequencies. Carrier wave can be turned off so user can use it as a standard low audio frequency generator. 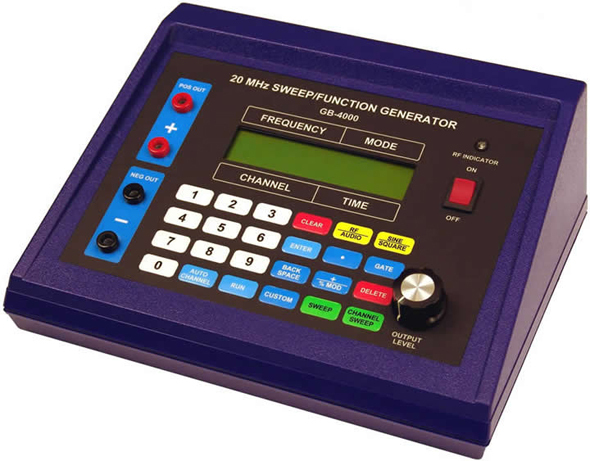 Displays all frequencies on the LCD – not hidden program numbers like other frequency generators. 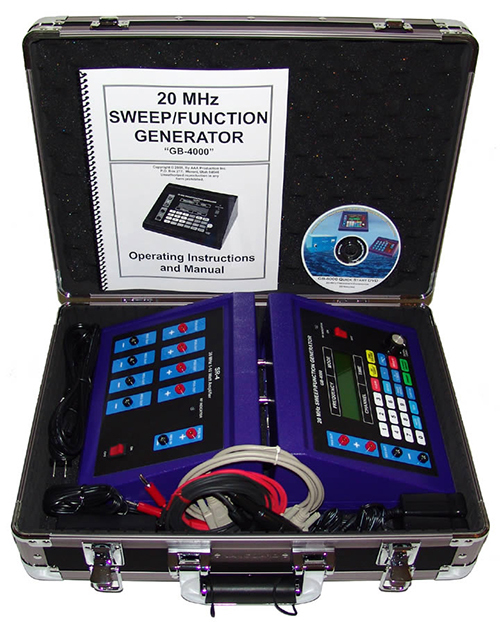 Allows you to program your own frequencies and groups of frequencies (2000 custom channels available, each channels stores up to 48 frequencies). Runs either single or multiple frequencies (up to 8 frequencies simultaneously). Capable of running a 90% duty cycle (almost double the power of other instruments; other frequency generators typically can only run a 50% duty cycle). Incorporates gating capabilities from 5 – 2500 Hz with a 10 – 90% duty cycle. Capable of running both sine wave and square wave waveforms. Channel sweep capabilities in all 2000 channels. Capable of running both narrow and broad range sweeps. Capable of running converge sweeps to 20 million hertz. Offers 4 outputs (other frequency generators have only 2 outputs). 18 times more powerful than any audio frequency generator due to it’s RF capabilities. Will we be shipping your Frequency Generator Combo Package with SR4 RF Amplifier, to a US Address? Mute Feature: Allows you to mute the beeper. Skip Feature: Allows you to skip any frequency group or frequency in any channel. Save Gating Feature: Allows you to save, in any channel, that the gating is turned ON whenever that channel is used. Plus new features on the integration with our optional MOPA Amplifier. What separates the GB-4000 from other frequency generators available today?While some manufacturers may wish to only run one frequency at a time, the GB-4000 can do this but it also has the ability to generate up to 8 individual frequencies in 8 individual pure waveforms and then output them simultaneously for a superior multi-frequency waveform. The GB-4000 can output 8 multiple individual frequencies or one individual frequency up to 40,000 hertz. Each frequency is generated and output in a pure waveform. With its 20 MHz (20 million hertz) frequency range it has the ability to generate millions of individual frequencies in pure waveforms which can be put into individual channels and run as sequences of individual or multiple frequencies. Some manufacturers claim that running multiple frequencies simultaneously causes the purity of each individual waveform to be lost as well as creating the possibility of canceling out or creating other frequencies. Rarely are other frequencies created and when they are they are generally beat frequencies which are considered beneficial. Those who run multiple frequencies simultaneously are seeking the benefits of using multiple frequencies. The time saving benefit is the main reason most people prefer to use multiple frequencies. Even though frequencies combined together may seem to lose their individual clarity, all the components of each frequency are present. Think of an orchestra playing many different instruments. Though they combine together to make beautiful music, each instrument’s full sound components are still present and nothing is lost. In order for a frequency to be canceled out, the same frequency must be introduced 180 degrees out of phase. Since the GB-4000 does not output the same frequency 180 degrees out of phase the canceling of a frequency is not possible. The compact travel case is a smaller case than the deluxe case. Because of its small compact size it can be shipped to almost any country through the USPS. It is ideal for those who want to be able to carry their GB-4000 and SR-4 amplifier when they fly. It easily fits into the overhead compartments on any airline. It is rugged, light weight and will protect the GB4000 and SR-4 with ease. Telephone & Online Tech Support! Will we be shipping your GB4000 Function Generator & 10 Watt RF Amplifier-Deluxe with Case Package to a US Address? It was actually updated in 2019! Copyright © 2018 Future Frequency. All rights reserved. Disclaimer: These statements have not been evaluated by the FDA. Not intended to diagnose, treat, or cure any disease.